Nisha Tanna launched her business, Beyond Breast Cancer, back in 2017. Picture: Kirsty Edmonds. A psychologist from Northampton is giving four hours of free mental health support to 10 women battling breast cancer after she felt let down by the NHS. Nisha Tanna, of Wootton, was diagnosed with stage three breast cancer two years ago and said one of the hardest parts of dealing with cancer was the lack of signposting to support services following her recovery. In 2017 she wanted to share her experience and professional expertise with cancer sufferers, and launched her business, Beyond Breast Cancer, to help other women who are on a similar journey and are passionate about health and well-being. 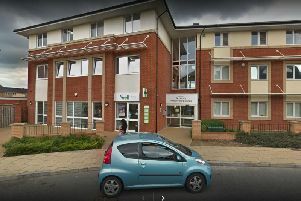 The chartered and registered psychologist of 18 years said the lack of support for those who have survived was a catalyst for her to offer this service to 10 women, which equates to £3,400. The four sessions for each woman will be taking place at a town centre location from March 18. She said: "Research shows that so many women suffer from PTSD post diagnosis, which hits mainly when active treatment ends. "The type of therapies I will be using - eye movement desensitisation and reprocessing - to support these ladies is also recognised by the World Health Organisation as an effective therapy for the treatment of PTSD and more complex mental health conditions." To contact Nisha if you would like support, click here.